Sunward Steel Buildings, Inc. had the honor of manufacturing and supplying this pre-engineered steel building for a customer in Lynnwood, Washington, in September of 2016. Currently, the durable, sustainable steel building serves as a gym and recreation space for Trust Basketball, which caters to basketball players who want to improve their skillsets and inspire and serve their surrounding communities. The gym’s owners, too, prioritize giving back to the greater good, and they regularly donate 40 percent of the gym’s profits to charitable causes and efforts of interest to them and their players. Boasting an open, clear-span design that maximizes space and headroom, the premanufactured metal gymnasium is comprised of premium-quality steel components, and it stands 55’x120’x20 upon erection. Economical, adaptable and highly versatile, the building provides plenty of space for players to shoot hoops and hone their skills, while a rugged, corrosion-resistant Galvalume roof with black trim sits overhead, providing considerable protection from above. 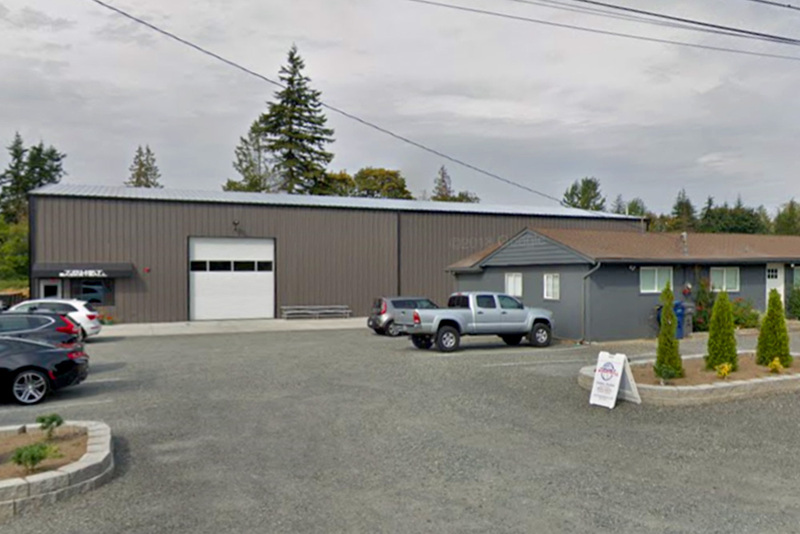 Distributed throughout the prefabricated steel gym are (4) framed openings ranging in terms of size and function, among them (2) 3’4”x7’2” openings enclosing (2) 3’4”x7’2” walk doors, (1) 14’x14’ overhead door opening housing (1) 14’x14’ overhead door and (1) 6’x4’ window. Additional steel gym characteristics include a 110-mph wind load and a 25-pound ground snow load; accommodations made in adherence to local building codes and with regard for the region’s typical climate patterns. 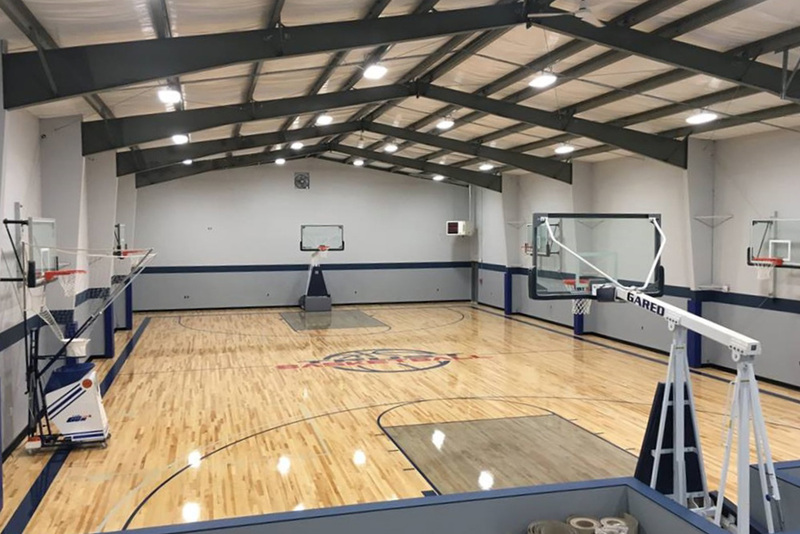 This steel gymnasium enabled its owners to fulfill their lifelong dream of opening a “basketball boutique,” so to speak, and it provides an affordable, lower-maintenance alternative to traditional wood gyms. 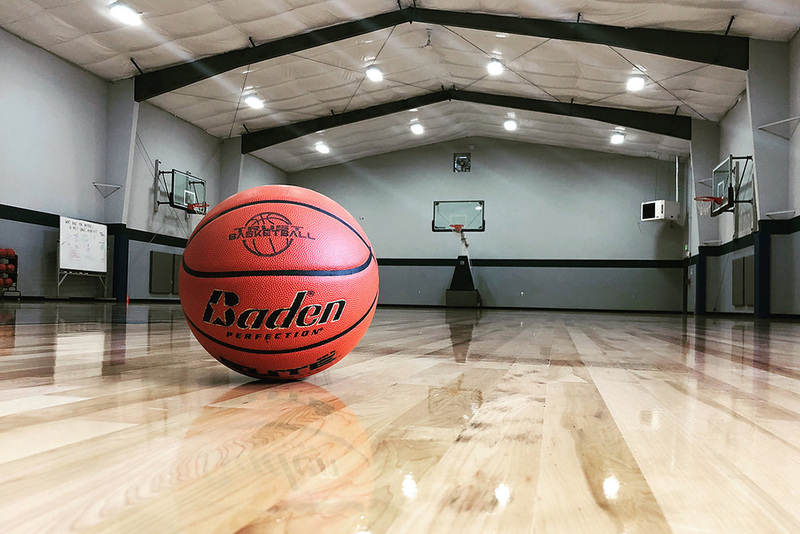 Unlike wood buildings, metal gyms resist damage caused by moisture, strong winds, fires, pests and other possible hazards, and they also hold their own in terms of beauty and aesthetics through the years without the hassles of repainting, residing and so on. Offering unrivaled strength and durability, this steel gym will continue to serve student athletes and the surrounding community for years to come, offering a safe, year-round space for sports, recreation and training. Part of the Seattle metropolitan area, the city of Lynnwood falls within northwestern Washington’s Snohomish County. The community lies about 13 miles south of Everett and roughly 16 miles north of Seattle. Considering purchasing a prefabricated steel building for recreational or other use in Washington state or another part of the country? Click here for a price quote.